Thanks for all your wishes over my Eye. Injured Eye is Very Much better now, the blood clot is going off now. Thanks All Again. 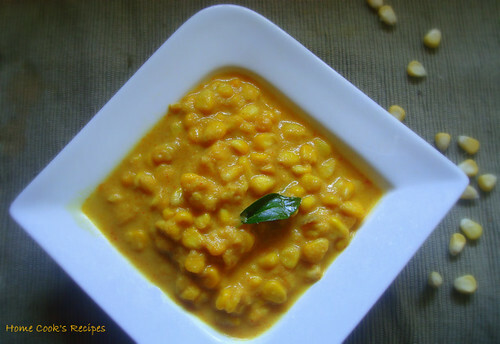 This Sweet Corn Gravy Dish is prepared from the inspiration drawn from Nags and Sharmilee's Sweet Corn in Rich Onion Sauce. I worked out the recipe in gravy form, and the outcome was Just Perfect and Tasty. Pressure Cook 1/2 Cup of Shredded Corns for upto 5 whistles. or Microwave at High for about 4-5 mins. Heat a tbsp of Oil in a Pan, add the grounded paste mixed up and saute them, till the raw smell of onion leaves. 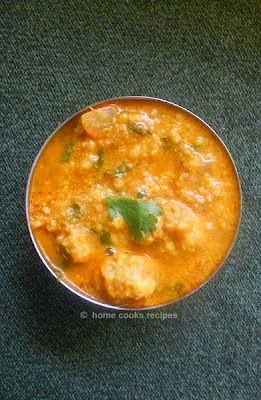 add the boiled/cooked corns and mix it up with masala's. add salt to taste,& little water and mix it up. Let them Boil. After it has boiled for 4-5 mins, remove the gravy from heat. add 1/4 cup of milk to the gravy and mix it up. 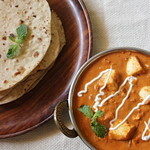 Serve it with Roti's. I enjoyed with Biryani. The mild gravy worked well with the heavy biryani. * Add Boiled and Cooled Milk to the Gravy towards end. * If you wish, you can also add Coconut Milk or Fresh Cream in the place of Milk. Two days back i got injured on my right eye and now every minute i realize the importance of it. or i can also say, iam realising the importance of being healthy without any illness. The injury is not severe and it did not affect any nerves. Thank God! Iam having a light pain and my eyes are feeling heavy. It all happened because of a funny fight, with my kid. Bringing up the kids will be the finest art to learn. isnt it? Apart from that, i always look for Instant Breafast. 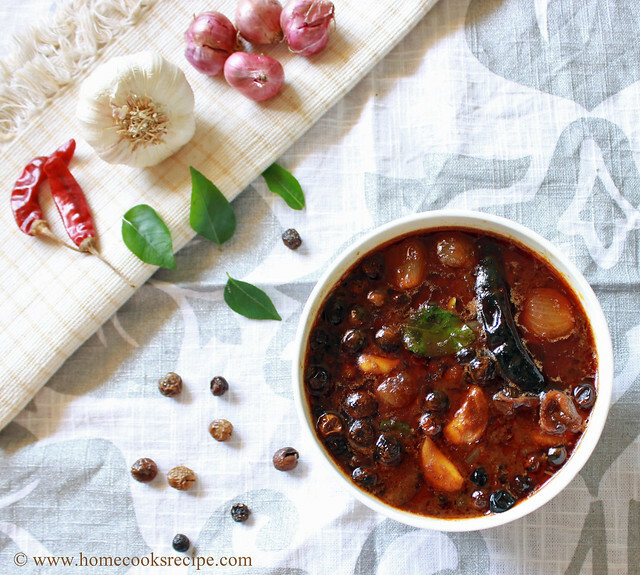 Its impossible for me to prepare Appam with some curry or Idiyappam with Kuruma or Poori Masala on weekdays. i usually go with idli/dosa with some chutney, bread omlet or some porridge. Hubby got packs of aloo powder/flakes. and i could'nt use it other way than using it for cutlets/patties. I also cooked aloo kofta biryani with it. 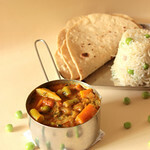 if you are a fan of Home Cook's Recipe's in Facebook, you can check its profile picture.. Mix all the ingredients except Bread slices and Oil. Soak the bread slices in water and squeeze them. add the squeezed bread slices to all other ingredients mixed. mix them all together. sprinkle little water to get them all together. Shape them into Patties shape/ round shape. Heat Oil in a Pan. and fry the aloo patties in medium flame, till they turn brown in colour. transfer the fried patties over a tissue. Cut the Bread slices into round shape. 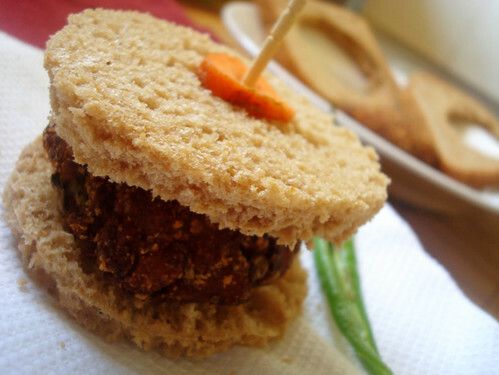 spread some mayyonise over it and place vegetables and place aloo cutlet and them cover it with another round shaped bread. 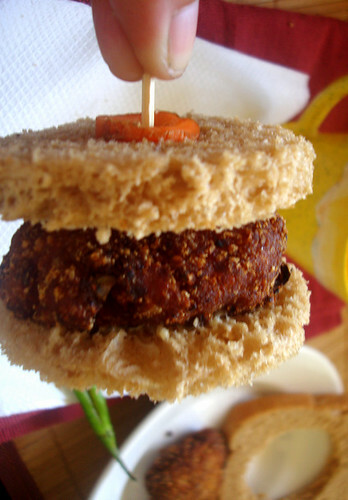 * YOU can add grated carrot and boiled peas to the cutlet. * Even adding little greens will be a good choice to the cutlet. * Place cheese when assembling for kids. * Baking the patties will also be a Good choice. 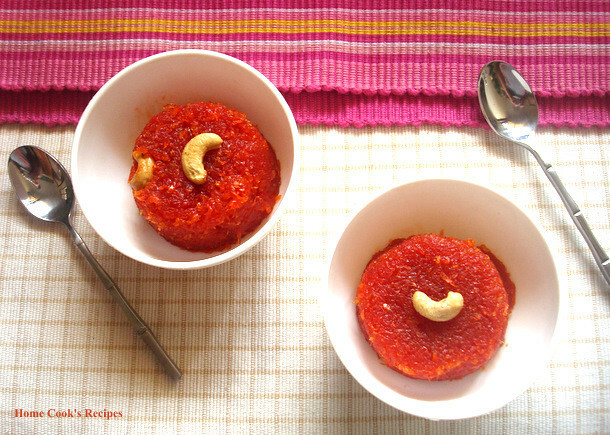 One of our Friend Anitha used to tell about Delhi Carrot and the halwa she makes with it. When i found some Delhi Carrots from street vendors in Tnagar, i could'nt stop me buying 1/2 kg. i repeatedly questioned the selling lady, whether this is carrot or radish. only after her confirmation i bought it. those carrots were in the colour of pinkish red. they are so lengthy too. i reserved the carrots for the weekend dessert. Unfortunately, i did'nt have ghee on hand, but thats for good. This halwa came out beautifully and tasted Great without Ghee. if you dont believe me, do try it without ghee and find out. Even i did'nt add milk to this halwa. indeed it tasted Good. enough of me raving about my own creation. This is such a simple recipe with just three ingredients. 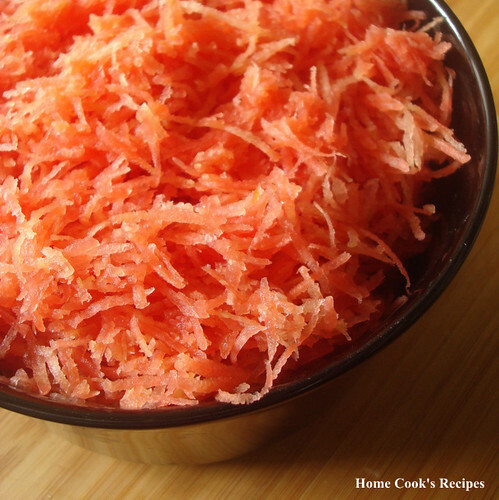 1/2 Kg of carrots could make only for two / three servings of carrot halwa. Heat a Skillet or Pan, roast the cashews and keep aside. 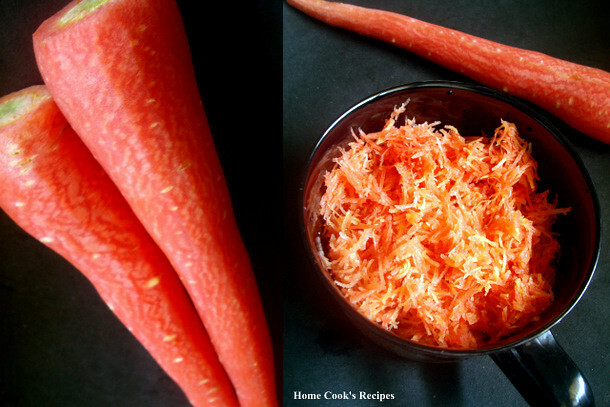 In the same pan, add the grated carrots and roast them for a minute. Add 1/4 cup of sugar to the pan and give a stir. the sugar melts and the carrot has to be cooked in it. Keep stirring in between for 8 - 10 minutes, till the water content is fully absorbed and the halwa comes together to the centre of the pan without sticking to the sides of the pan. Add roasted cashews and serve warm. Note: Use Delhi carrots for this vibrant colour. i did not use any food colour for this halwa. nor i did'nt do any photoshop works, to show this halwa bright! 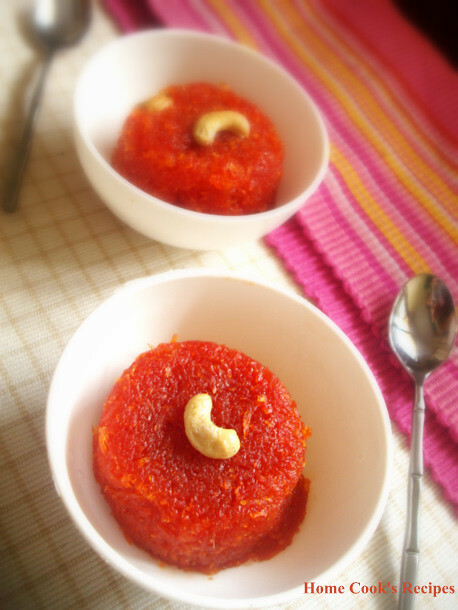 Serve the Halwa warm with a scoop of ice-cream. * You can reduce sugar and add sweetened Khoa towards the end to make it rich. 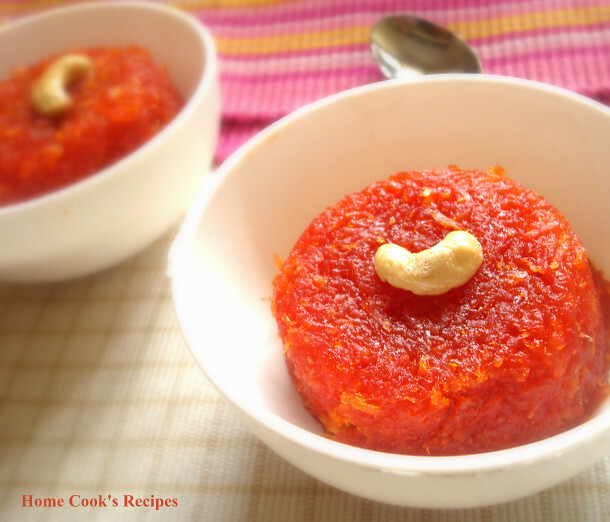 * You can add Ghee, to make the halwa Fat-rich. 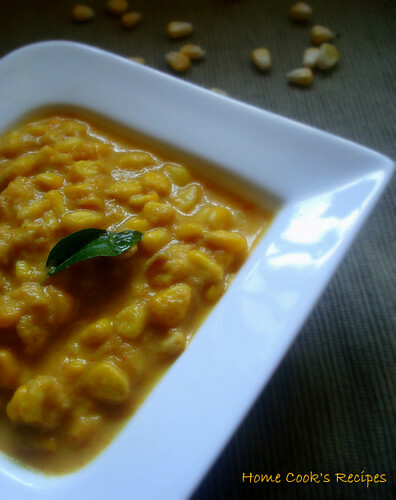 * You can add cashews, pista's at the end to make the halwa cholestrol-rich. Okay, what's my New Year Resolution? Its not just for this Year, as i think, it will be in long term, for the next decade atleast. One is to feed the Family Healthier way. Second, I should Think several times before taking important decisions. Third, to enjoy every bit of Life. in simple, iam trying to correct the mistakes of last decade. If you ask me what happened to my last Year's Resolution, Yes i was able to follow it for 6 months atleast. Last Year's Resolutions were, not to expect other hands for help. ( it purposely meant, that i should do all my house-held work without maid). I survived without domestic help for 6 months. later i was pushed to have a helper, as hubby went abroad, and i needed someone to looks after the kid, when i had to look after outside work. Next was to reduce maida, oil in cooking. and i have reduced the oil consumption from 1 and half litre a month to 1 litre. 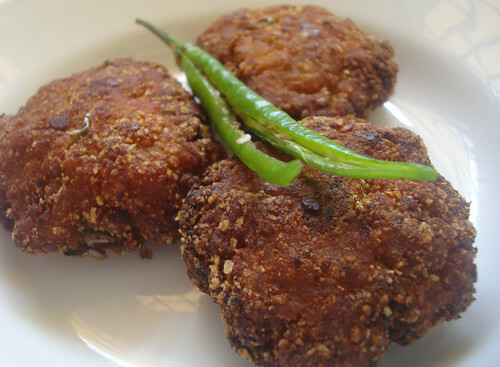 but could'nt reduce maida, as iam experimenting on baking mode, maida/APF becomes must for the experiments. 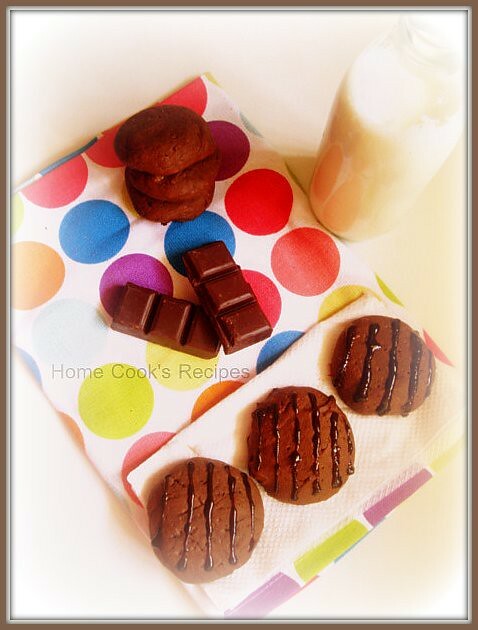 Coming to the Chocolate Temptations Cookies, I tried it out, from my Cakes and Bakes Book. I just followed the recipe. It turned out fabulous and vanished in just two days. My Son and I loved it! 1. Pre-Heat the oven to 180C. Line a Tray with Butter Paper and Grease it with butter. 2. If you have Double Boiler, Melt the 225gms of chocolate, Butter along with Coffee. Boil 2 cup's of water in a bowl and simmer it. find another fitting bowl, that could sit over the boiling water bowl and place it over the boiling water bowl. add 225gms of dark chocolate, 1/2 cup butter and Coffee to the bowl and melt them together. 3. Beat 2 eggs in a bowl until fluffy. whisk in sugar gradually till the mix, turns thicker. Remove the chocolate melted, and add to the egg-sugar whisked. Mix them all together, till they are mixed well and becomes Thicker. 4. Sift the Floour, Baking powder, salt into a bowl. add the melted chocolate-egg mix to the flour and give a mix with spatula or wooden spoon. add chocolate chips, almond extract and nuts and give a mix to get the cookie dough. 5. Spoon in the cookie dough over the greased butter paper and bake in the pre-heated oven for 15-17 minutes. Transfer the cookies to wire-wrack once its baked. With the help of double boiler or in double boiling method(refer step 2), melt the chocolate, butter and icing sugar together. 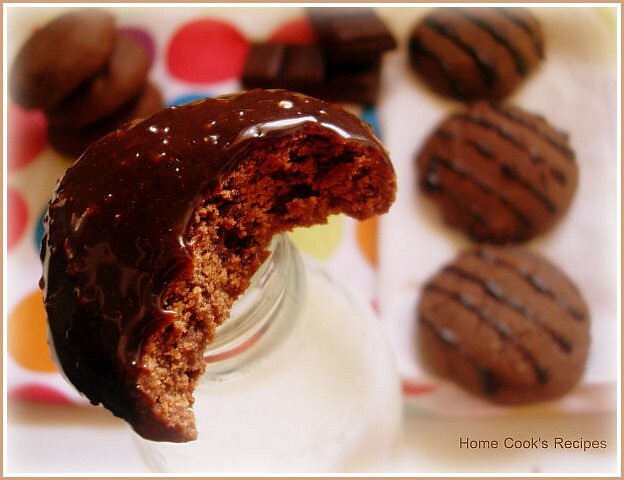 once the chocolate gets melted and mix turns thick, add milk to make the mix thinner. 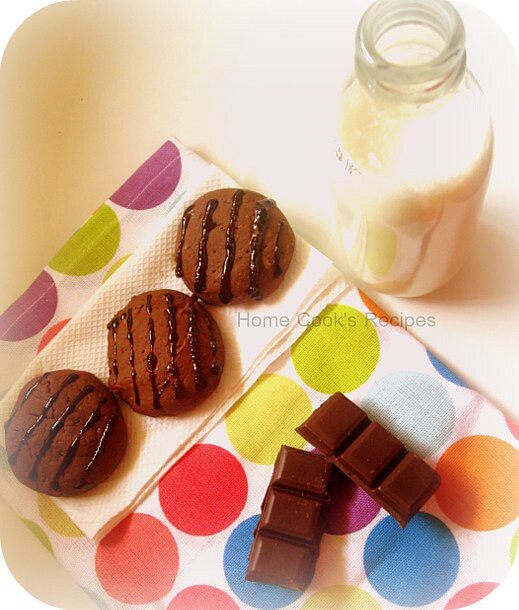 Pour the mix to a Piping bag and pipe lines over the cookies. * I used Milk cover instead of Piping Bag. * I did a foolishness of using Demarara Sugar instead of Icing sugar and it did'nt melt and struck in between while piping chocolate lines.